Behind the front line, the FFI resistance and the Gestapo thugs were fighting in a more secret war. The struggle was fierce. This expansion will take you into this shadow battle. 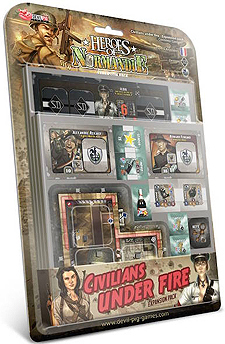 The civilians, main characters or simple extras, will bring life to your battlefields for even more heroic actions.